Not at the Indiana Chamber, where each year brings a mix of familiar membership offerings and additional opportunities to maximize your investment. All businesses – and their needs – are different. That’s why you can choose from a multitude of resources and benefits. Legislative advocacy: The Chamber’s policy work in 2017 yielded a return on investment of $1.575 billion for Hoosier businesses (or $587 per employee). Among many legislative victories were a long-term road funding plan, expanding the state’s pre-kindergarten program, and several technology and innovation advances. Preparing for 2018: The second annual Indiana Technology & Innovation Policy Summit on December 1 set the stage for the upcoming General Assembly session. Discussions centered on enhancing the state’s tax and business climate, software-as-a-service, certified technology parks, expanding investment capital, autonomous vehicles and data centers. Indiana Vision 2025: The Chamber’s long-range economic development plan includes a biannual Report Card comparing the 50 states in 62 metrics related to 36 goals (grouped by four drivers: Outstanding Talent, Attractive Business Climate, Superior Infrastructure, and Dynamic and Creative Culture). The Chamber conducted 11 statewide regional forums – expanding the conversations to even more areas than in the past – to discuss the results, obtain local analysis and share best practices. Business Education and Events: Did you take advantage of the 50-plus training opportunities or variety of regulatory compliance guides? Many members turn to these resources to ensure their staff is trained and protect their business from non-compliance fines! Annual gatherings collectively draw thousands. Among them were the Safety and Health Conference and Expo (the largest event of its kind in the state), Human Resources Conference and Expo and Legislative Dinner (former ABC News White House correspondent Ann Compton shared personal stories and an optimistic perspective about our country’s future). An extraordinary 100 workplaces celebrated their success at the 2017 Best Places to Work in Indiana Awards Dinner. Mark your calendar for the 13th annual event on May 3, 2018! NFL legend Peyton Manning entertained 2,000-plus attendees at the Chamber’s 28th Annual Awards Dinner on November 7. Register today for the 29th Annual Awards Dinner on November 13. Affiliate programs: The Wellness Council of Indiana recognized 19 organizations with AchieveWell designations (part of a comprehensive assessment and evaluation) and continued to grow its Indiana Healthy Community Initiative. Indiana INTERNnet, a free high-tech and high-touch internship matching service, filled 909 internships (up from 726 last year!) and broadened its focus with a pilot program aimed at high school students. The annual IMPACT Awards luncheon, which recognizes internship excellence, drew a record number of nominations for its February 2018 celebration. Inside the Chamber: Our new web site is more streamlined and user friendly. In addition, the site is responsive – you can access on your tablet or smart phone any page or post you can view on your desktop. Another highlight is the Member Benefits page, now organized in four key areas: advocacy, compliance and information, savings and visibility. 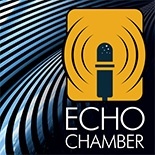 The EchoChamber podcast features informal discussions with Indiana leaders in business, education, technology, politics and much more. Most recently, Blair Milo, Indiana’s first Secretary of Career Connections and Talent, discusses state efforts to meet employer needs. Stay tuned for what’s coming and check out the archives. Wrap up the year by celebrating Indiana’s manufacturing legacy in the January-February issue of BizVoice® magazine. We’ll feature companies and stories from across the state as we explore “Manufacturing: Yesterday, Today and Tomorrow.” It will be available online and in the mail the last week of December.